Has an unexpected bill left you strapped for cash? * Our Coldwater store offers a variety of services from payday loans, cash advances, check cashing and more. In MI, we offer payday loans from $50 to $600 to help fill the gap and keep you going until your next pay check. You can apply in a store, or you can apply online anytime. 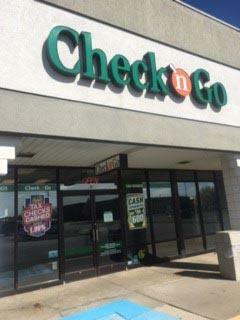 You can find a Check `n Go in Coldwater conveniently located in the Willowbrook Village on North Willowbrook Road. To apply, you need a valid ID, proof of income, an active checking account and a working phone. The process is fast, friendly and hassle-free. If you are approved, you could have your money in your checking account as soon as the next business day. * Check `n Go is here to help when you need us.